It was with great sadness that we learned about the death of renown neurologist Oliver Sacks last month. About a decade ago we published a reprint of one of his most famous essays in North Dakota Quarterly. 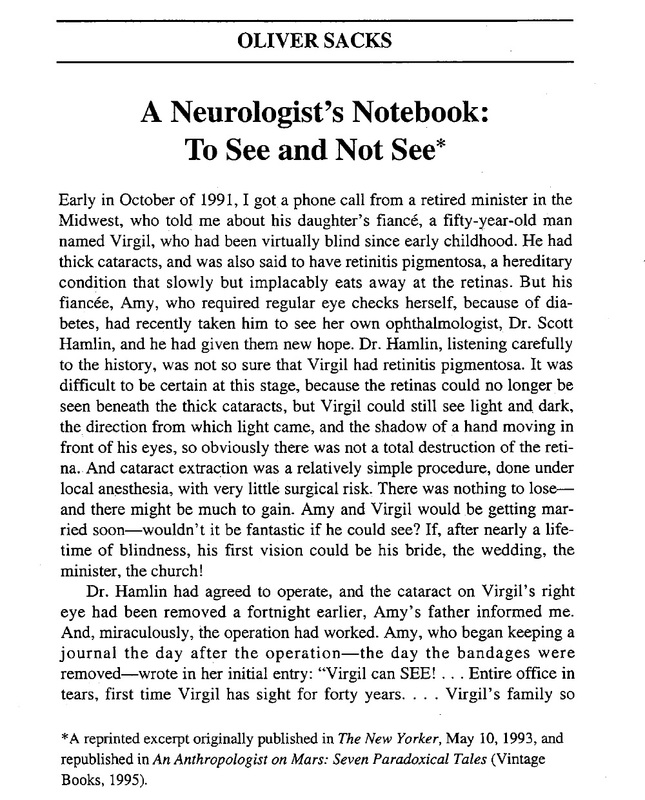 “To See And Not To See” originally appeared in the May 10, 1993 issue of The New Yorker. We ran it right up front in North Dakota Quarterly in 2003, a decade after it first appeared in print to celebrate his visit to campus to speak at the University of North Dakota’s Writers Conference. You can listen to him read at the Writers Conference here. The spirit of Dr. Sack’s research and writing represent the ultimate blend of the Arts and Sciences and we hope that the upcoming issue (80.4) of North Dakota Quarterly dedicated to that theme carries on his vision.